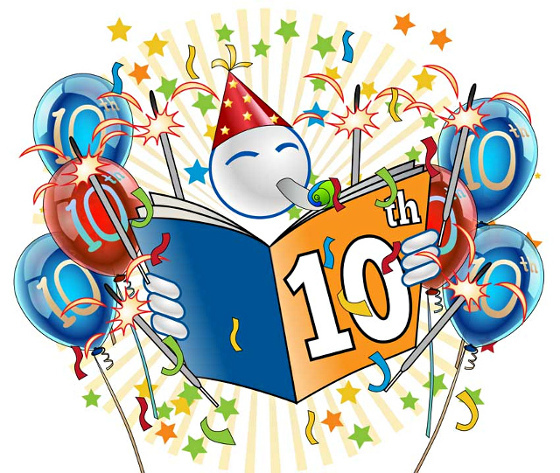 I started this blog ten years ago today, on 31st May 2004. In those days I used an external web-hosting service and an Open Source weblog product called Pivot. I replaced that with a WordPress install running on my own web server a couple of years ago and have only imported a handful of posts from the old blog, so not all of those old pieces are online here – but I did publish most of them as an e-book on Amazon a while ago, called A Satellite View (I wouldn’t bother). Sincere thanks to all my readers for dipping in occasionally. I don’t post as often as I intended to, but I hope this little niche corner of the World Wide Web will still be here in 2024. Since my first post in 2004 I’ve had five different jobs, moved house from Derby to NW Leicestershire and got married. I shouldn’t think the next ten years will be as memorable. I’m typing this in the immediate aftermath of the 2014 England local elections. In a nutshell, what happened was this: Labour’s performance was lacklustre. They gained only 32% of the popular vote, two percentage points ahead of the Conservative Party who also performed relatively poorly. The Lib Dems remain unpopular with the electors. But Nigel Farage’s UK Independence Party performed spectacularly well – at the cost both of Labour and the Conservatives, but more substantially the latter. It seems that UKIP are riding a wave of cynicism and discontent among the public, disaffected with traditional politics in general but dissatisfied with the traditional parties’ policies with respect to Europe and immigration especially. They have gained 161 council seats – a staggering achievement for an organisation more usually considered a pressure group than a political party. I was pleased to see that the voters had disregarded the laughable, frightened squeals and scaremongering smears of the Left and their useful idiots on Twitter and Facebook, who had in the weeks leading up to the election attempted to portray UKIP and their supporters as fascists and racists. And I am especially encouraged to see strong support for the two centre-right parties – some 46% of the electors voted Conservative or UKIP. However, there is a huge and obvious danger here. The next General Election is only a year away. If large numbers of voters who would otherwise vote Conservative were to give their support instead to UKIP, the end result may actually be that Labour will slime under the door of Number Ten, and into power. 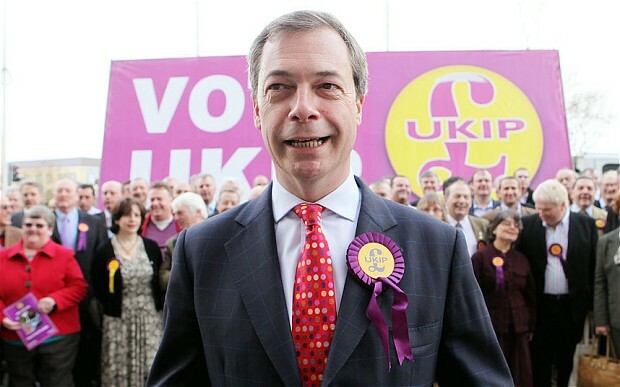 A Conservative government would be considerably more sympathetic to the aspirations and interests of UKIP supporters than would a Labour administration, yet a vote for UKIP might well, in practice, amount to a vote for Ed Miliband. For this reason, I think it critically important that the two right-thinking parties of the Right form some sort of electoral accord, to maximise the electoral chances of the Conservative Party and to afford UKIP some sort of limited power – perhaps in the form of guarantees on our relationship with Europe or immigration policy. The Prime Minister has already appeared to rule out this possibility, and Nigel Farage also seems reluctant to entertain it. Yet such an accord would undeniably work in the best interests of both parties; UKIP especially. It represents the only possibility for Farage and his followers to wield the slightest positive influence in government. Without it, the only influence they can offer is to help into power Labour, a party instinctively hostile to their principles and aspirations.